Art by Pia Guerra, Goran Sudzuka and José Marzá, Jr. The saga of Yorick Brown, the last man on Earth, continues in PAPER DOLLS, collecting issues 37-42 of writer Brian K. Vaughan's and artist Pia Guerra's hit Vertigo series. In addition to catching up on the adventures of Yorick's monkey Ampersand (whose body holds the key to stopping the male-killing plague) and telling the origin of Agent 355, PAPER DOLLS chronicles the search for Yorick's fiancée Beth in Australia - a search that yields a large dose of unwanted publicity for the Last Man and deadly consequences for those he cares for! 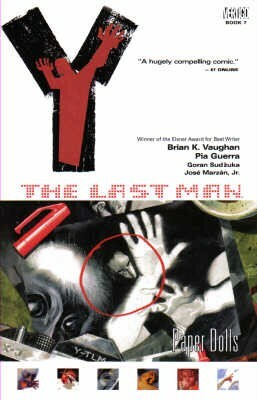 Collects Y the Last Man #37-42.